Hell yeah, they taste good! The chocolate is rich and the Savi Seeds are tasty, kind of like an almond. If you need a post work-out replenishment, these are some monsters. Now are they chocolate candy? Not exactly, but you will be more than satisfied nutritionally and it will most definitely cure your sweet tooth. 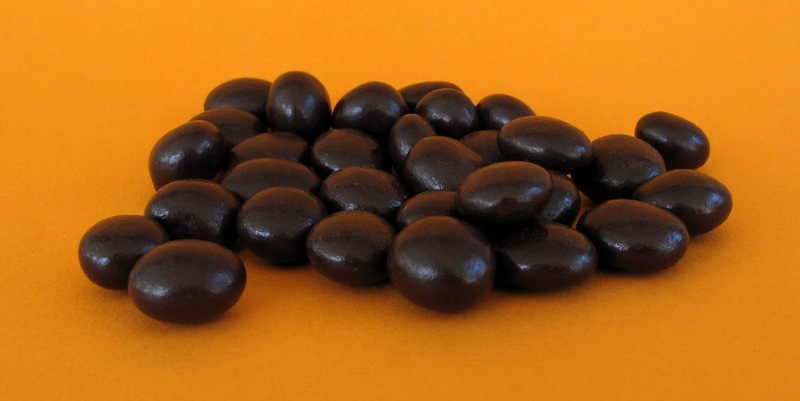 If you are not a chocolate fiend, they also have Natural and Caramelized flavors. 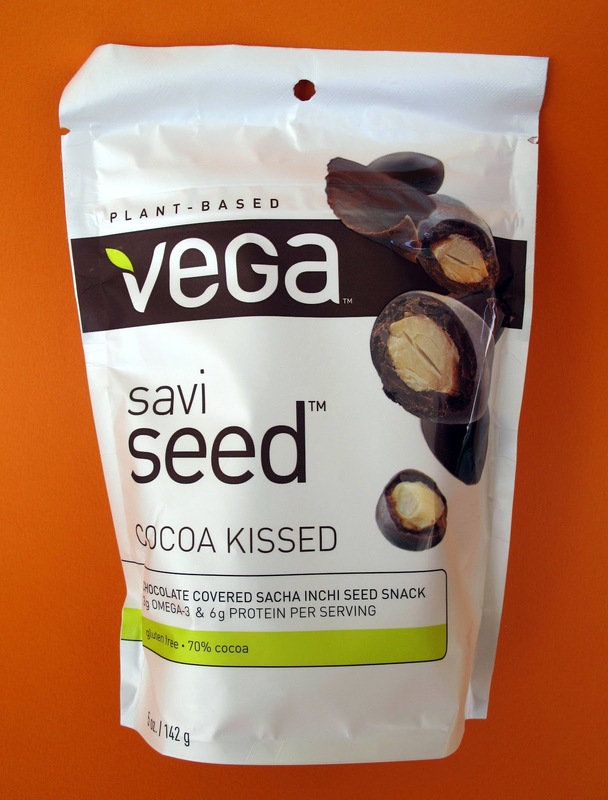 Hats off to Vega again for another innovative product that creates it's own niche. Can't wait to see what they come up with next! I've never seen these before. I'm going to see if I can find them around here. I have the worst sweet tooth, and it would be nice to have something of some nutritional substance .... like this apple crisp I'm eating for breakfast. I was just checking these out at Whole Foods yesterday! They only had the Caramelized and I wanted the Natural ones so I walked out empty handed. It's good to see that they are yummy though! I'll have to keep looking for the natural flavor! I had a sample once, and I thought they tasted sorta ... funky. Maybe I'll give 'em another go. I've been eyeing these at the health food store...I will give em a go now that you recommend them. Whoa. I've never even heard of these! Must try!!!!! !